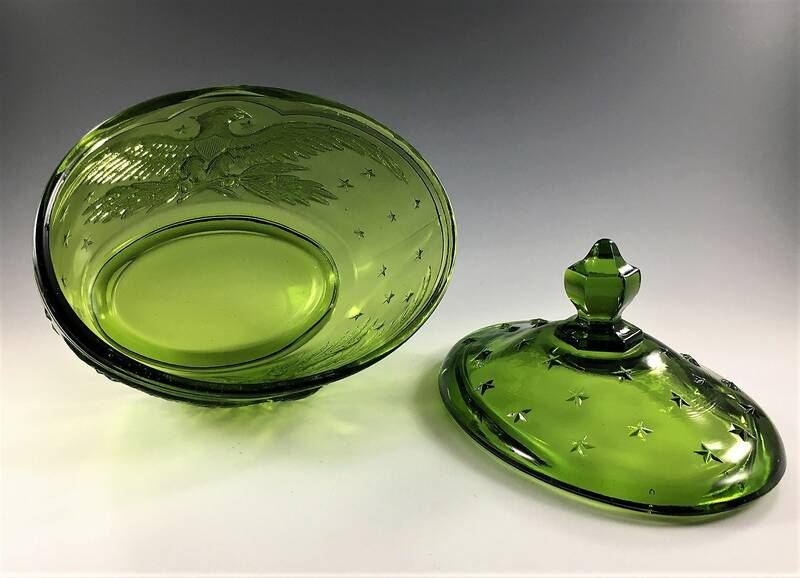 Featured here is an uncommon glass bowl or candy dish with lid from L.E. Smith as part of their Eagle pattern. This vintage green piece (No. 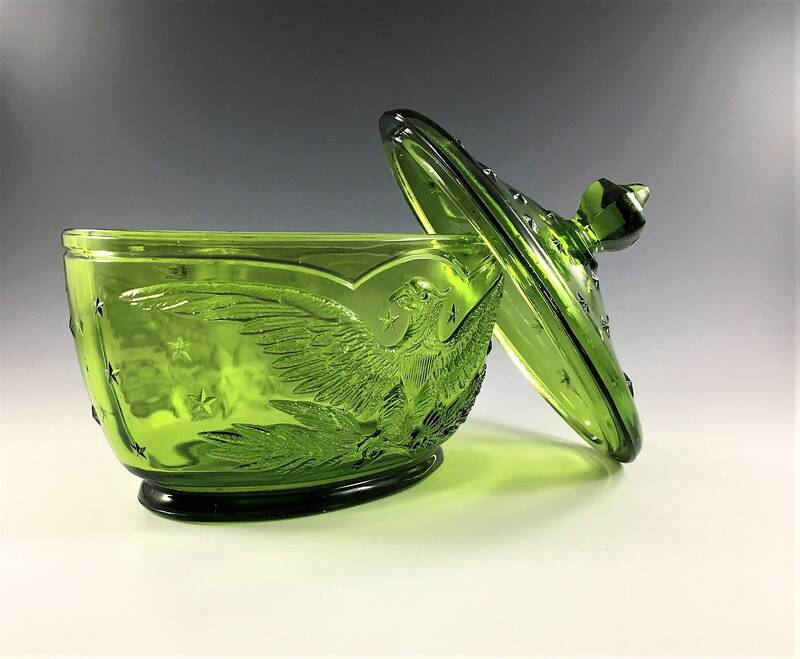 4564) is oval, about 6 1/4 by 4 1/2 inches, and 6 1/4 inches tall to the top of the lid. 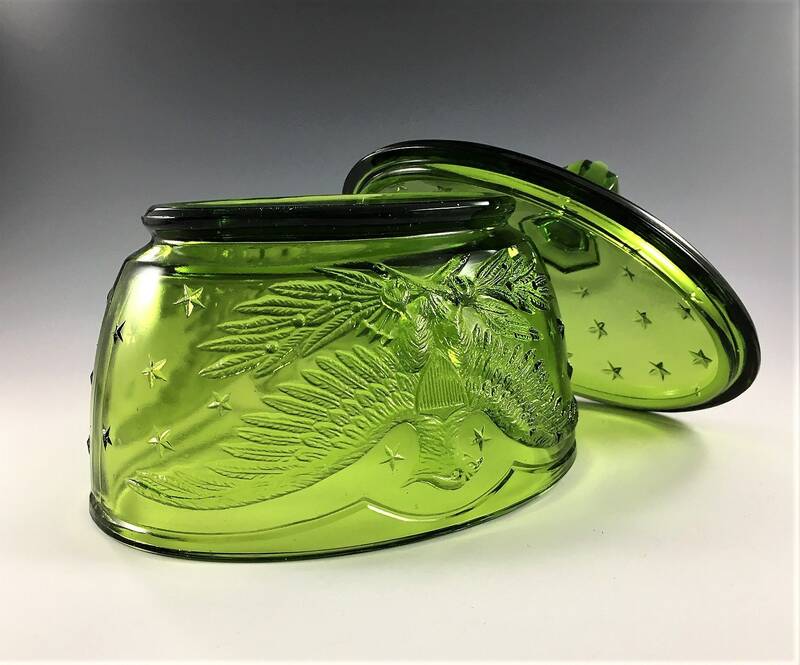 The base is prominently embossed with a large eagle on each side, and stars decorate both the lid and the body. 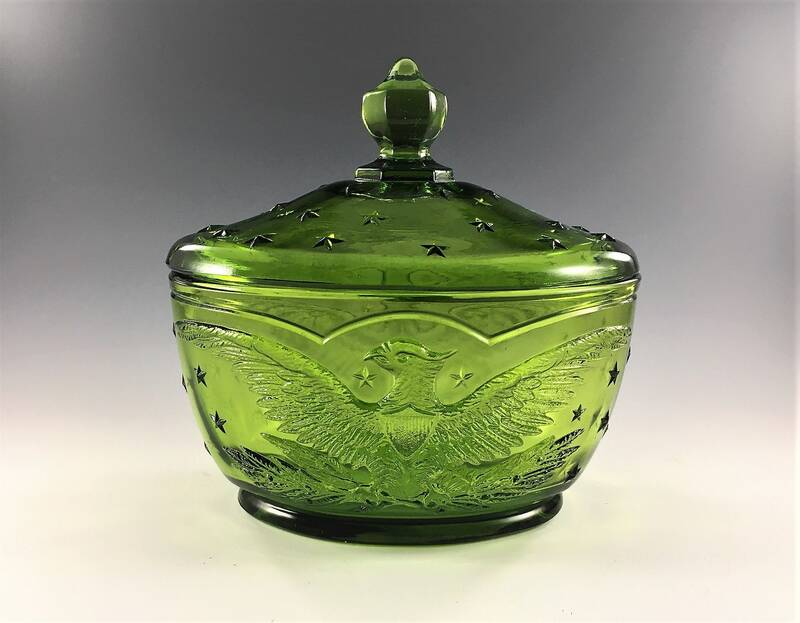 The lid is adorned with a six-sized finial on the top. Great color and in excellent condition. Free from any chips or cracks. Great in the bathroom for cotton balls and such. Great kitchen storage too. Looks good on an office bookcase or catching the light on a windowsill. Beautiful color, super nice item, just as described. Excellent packaging and fast shipping. Very happy with purchase.